... genius. 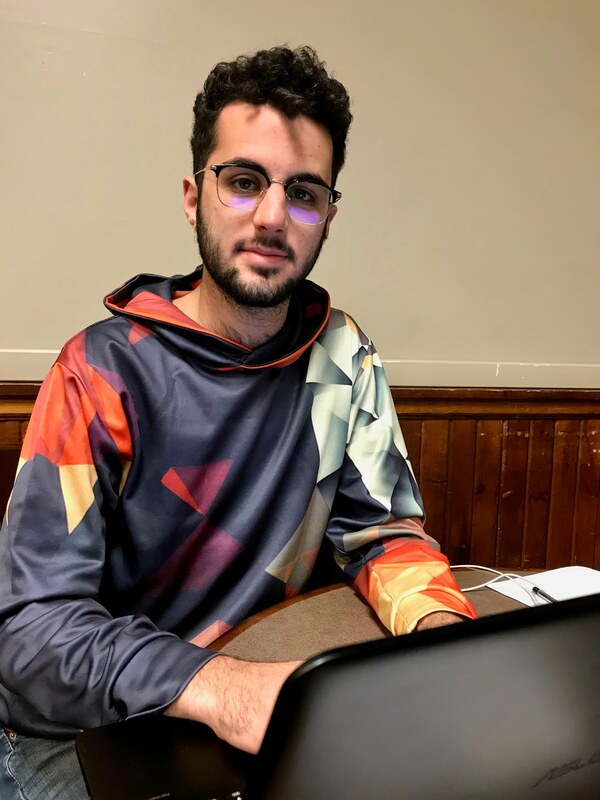 While studying in the fourth floor Sky Lounge, Chris Foley, Steds junior, was interrupted from his studies so that a brief interview might be had concerning his satisfaction with the Barber of Steds. Yes, it was Foley's head and follicles that were under Andrade's razor in a bathroom at Steds last week (see story here). But was this genius, who was recently hired by Amazon, pleased with the final product? Did his finished coiffure past muster? Are the acclaimed and celebrated skills of the Barber of Steds really that and more? On his sporting his haircut, Foley said, "The haircut is clean and crisp. I feel like a schooner on her maiden sail across the bay." Yes, with a haircut like that, it's smoothing sailing for this gentleman. Congratulations Barber of Steds!